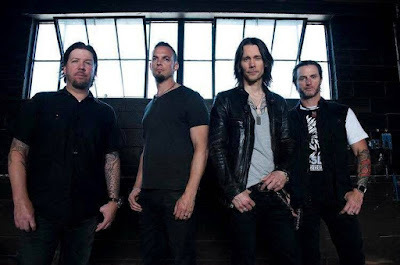 Alter Bridge are streaming a clip of the unreleased track, “Cruel Sun”, as a preview to the September 8 release of a new collection, “Live At The O2 Arena + Rarities”, via Napalm Records. The tune is one of two songs – along with “Solace” – originally recorded during the sessions for the band’s 2004 debut, “One Day Remains”, that are making their first appearance on record with the new package. The 3-CD set captures Alter Bridge in concert at the London O2 venue on November 24, 2016 alongside a disc of 13 rarities from their career. "Live At The O2 Arena + Rarities"